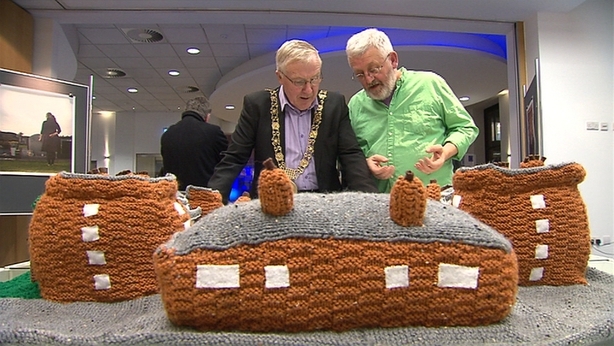 A one-metre-wide knitted model of the old Fatima Mansions complex has gone on show at an exhibition in central Dublin. It was created through a partnership between the nearby National College of Art and Design (NCAD) and the community in and around Fatima. Funded by the European Union, the exhibition comprises striking self-portraits made by the people of Rialto working in partnership with NCAD. I was opened this evening by Dublin Lord Mayor Christy Burke at the EU's offices on Molesworth St. 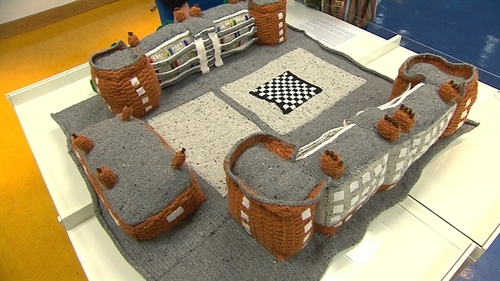 The Fatima Mansions were demolished and redeveloped in the mid 2000s, however, the 1950s representation has been commemorated by 19 knitters from Dublin. The knitted model is the centre piece of one of five exhibition projects funded by the EU in five north European countries. The exhibition runs until 27 February.